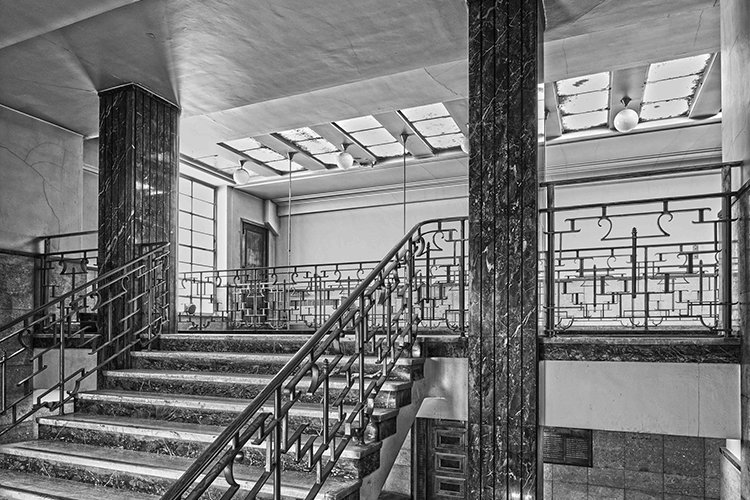 As well as restoring and celebrating the unique period features found throughout Hornsey Town Hall, award-winning Make Architects have channelled the Town Hall’s distinctive modernist style into their plans for the new apartment buildings. 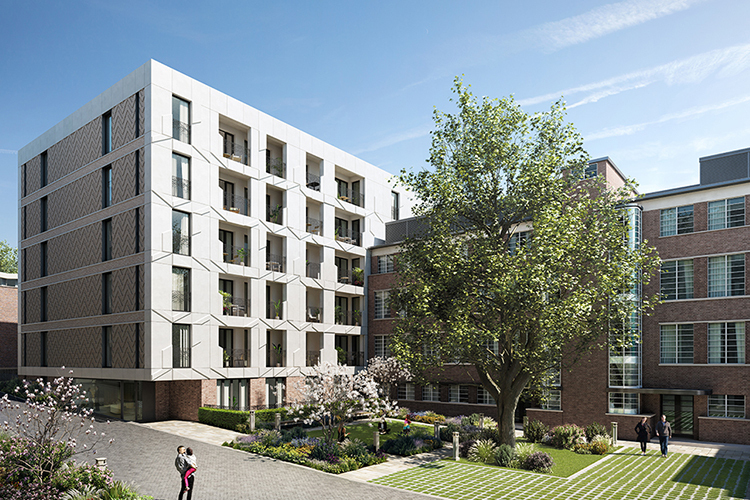 Drawing inspiration from the modernist brickwork and metal detailing of Hornsey Town Hall, the Uren Building is made up of four linked pavilions stretching from Haringey Park towards Weston Park. Patterned balcony balustrades punctuate the bold brick façade, referencing the detailed metalwork of the neighbouring town hall. 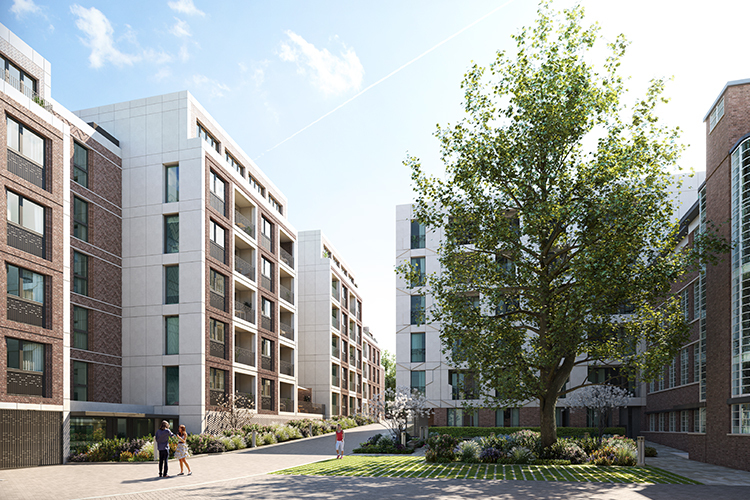 These balconies also provide each of the 82 apartments with their own private outdoor space. Adjoining the east wing of the town hall, the Ayres Building houses 40 apartments and finds influence in the Grade II listed Hornsey Library, a 1960s modernist building situated on the neighbouring Haringey Park. Referencing the library’s architecture, the building has a reconstituted stone façade broken up by elaborate balcony balustrades, which reflect the metalwork of the town hall.